Bonafide Farm - Happy Halloween from Bonafide Farm! Happy Halloween from Bonafide Farm! Tucker has no idea how close he came to being dressed as a spotted cow for Halloween. But his still-unbroken dignity stopped me from inflicting that humiliation upon him, even though I was sorely tempted. Tucker is beautiful! Great photo! What a handsome boy! Tucker has a very “smart” look too. Great coat! I wish Star’s would grow out a bit more. What do you give him? Don’t you just love the way an ES keeps his master close? I bet Tucker is just like Star! 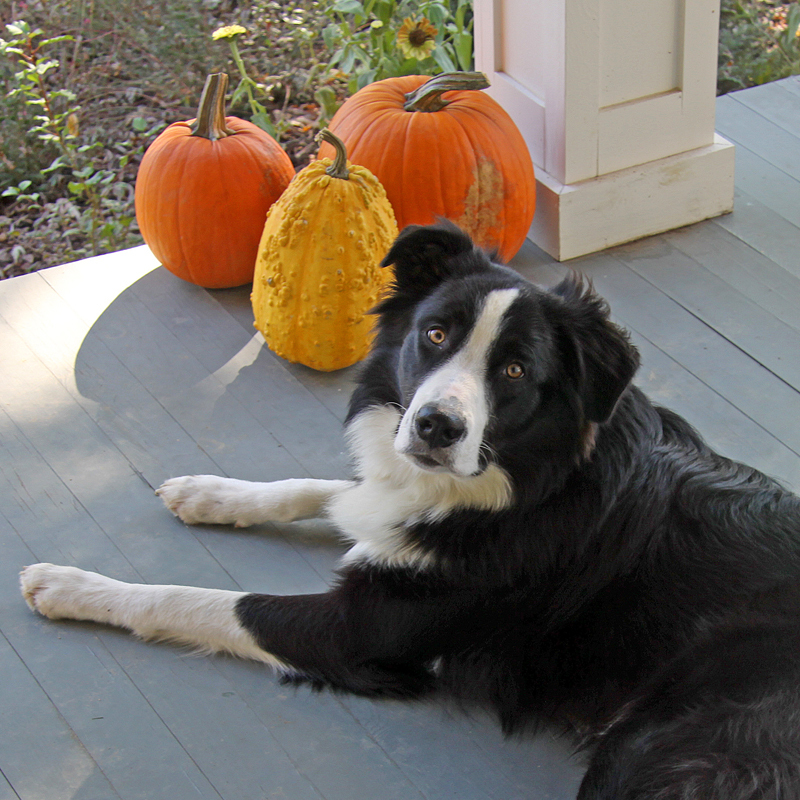 You are currently reading Happy Halloween from Bonafide Farm! at Bonafide Farm.